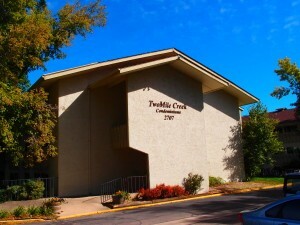 2005 Goss #1 - RENTED | Robinson Investment Company, Inc.
2005 Goss is a 5-plex. Unit 1 is the left hand door - a mirror image of Unit 2. The Living Room is large enough for 2 couches. Looking at Living Room from Dining Room toward the Front Door. There is an Outdoor Deck off the Dining Room. 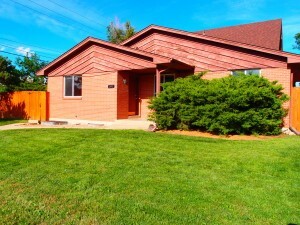 Unit 1 is at the back of the property with lots of off street parking. 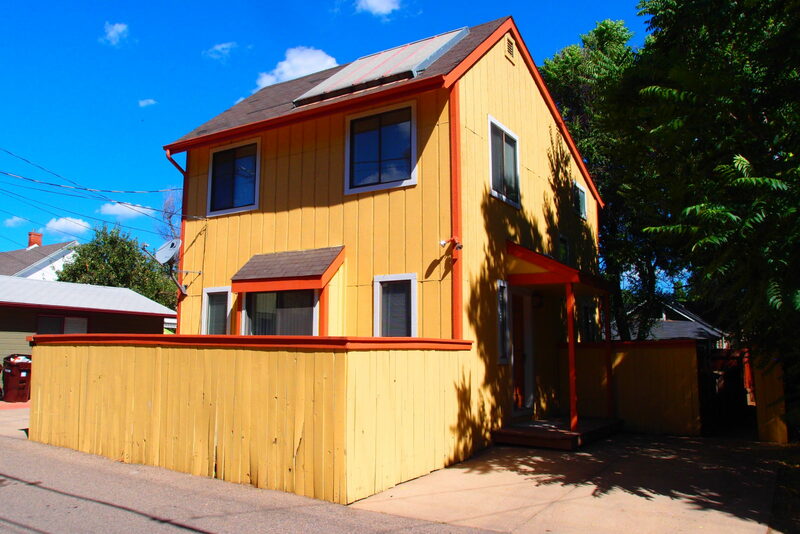 Spacious tri-level at a convenient Goss Grove location – walk to both Downtown Boulder and CU. Rent is $3580 per month. One year lease. Utilities are not included. You’ll never feel overcrowded in this 4 bedroom unit. 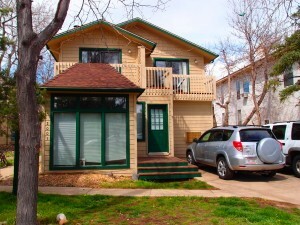 There is plenty of room for 4 people because this unit is split into 3 levels. Walk into the main level where you’ll find the large living room that connects to the dining room and kitchen, which includes a dishwasher. The dining room is bright because it’s surrounded by windows and has sliding glass door access to the outdoor deck. The main level also has a half bathroom. 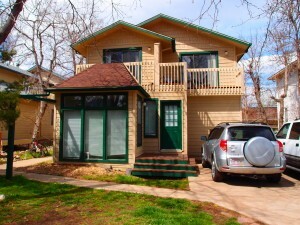 Head upstairs to find two nice-sized bedrooms with big closets, the full bathroom and washer dryer. 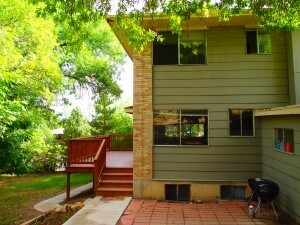 The other 2 bedrooms in this unit are on the basement level and also have big closets. Another perk to this property, you’ll never have to worry about finding a parking space. There is plenty of off-street parking at both the front and the back of the property.